I haven’t been to the moon yet, but of all the places I’ve seen, nothing reminds me of our crater-filled neighbor in the sky quite like the south of Bolivia. Its cold, desolate, hard to breathe, and the stars shine just a bit brighter. 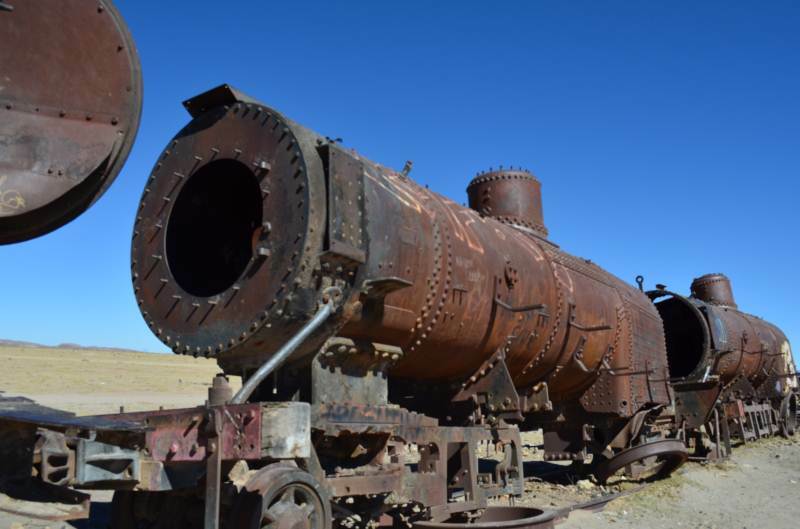 To get here, either hop a bus south from La Paz or if you’re a bit more intrepid, come in from San Pedro de Atacama in the north of Chile. 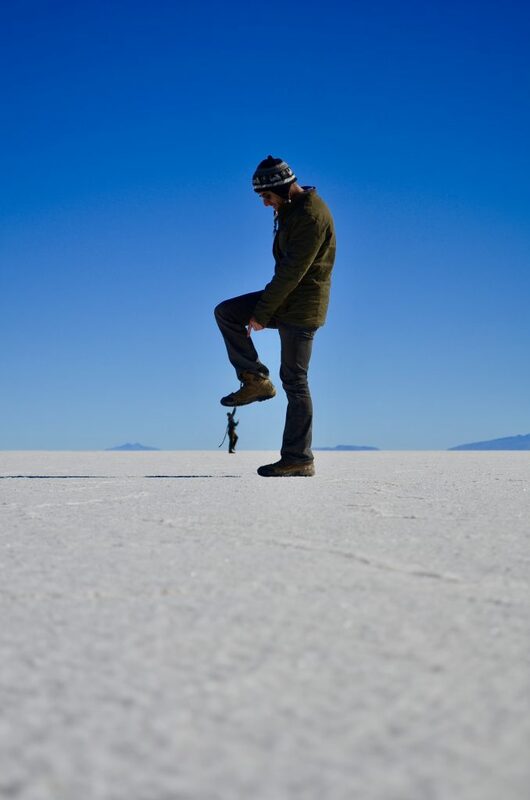 We opted to do an overland 4×4 trip across the Bolivian Altiplano which promised to be the most scenic and adventurous way to get to the Salar de Uyuni, the world’s largest salt flat. The 3 day trip to the Salar de Uyuni starts on a dusty highway leaving Chile and the roads soon turn to dirt which soon go away entirely. Passing giant volcanos and Andean peaks along the way, its an expansive and breathtaking journey. 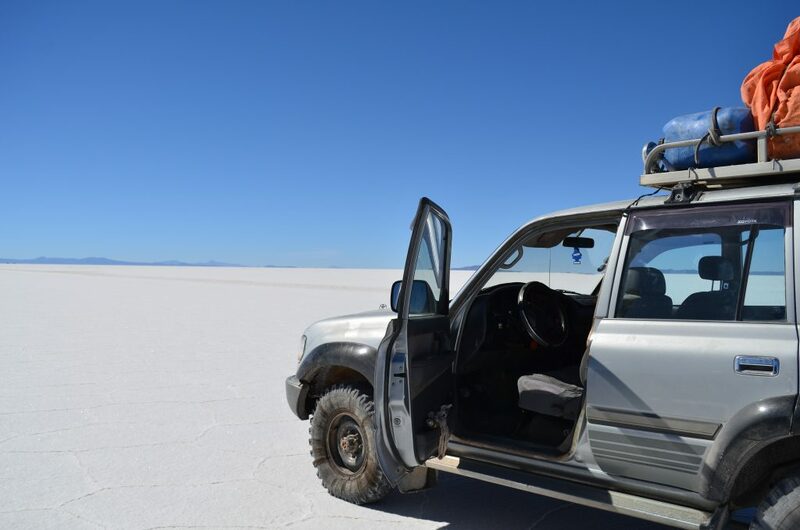 After crossing the border in what amounts to a dusty police hut in the middle of nowhere, we switched vehicles into a more off-road ready vehicle and began our journey towards Uyuni. Pictures don’t prepare you for the challenges that altitude and cold present and its quickly obvious why this land is so desolate. 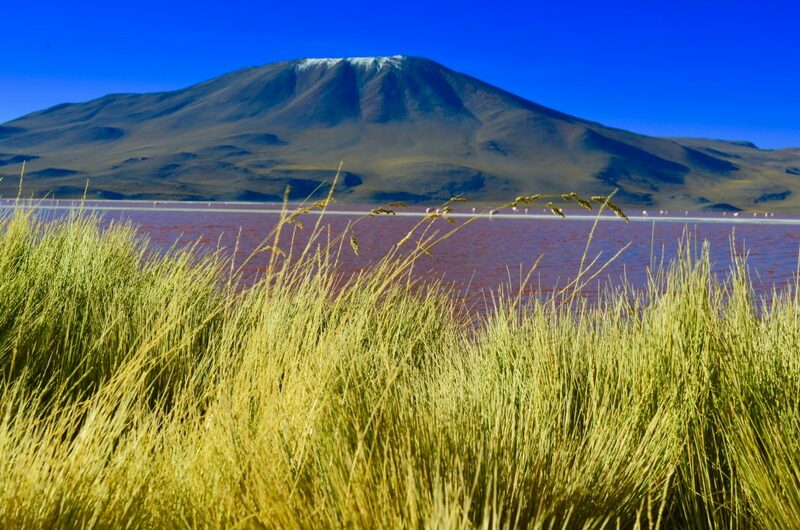 We trekked across the high plains stopping every hour to to visit orangish-red lakes filled with flamingos followed by evenings eating Bolivian stew, which resembled the high altitude fare served in the Himalayas. The nights were slightly hypoxic, but seeing the stars and knowing that we were alone (at least for a 100 mile radius) outweighed the any altitude or cold induced pain. 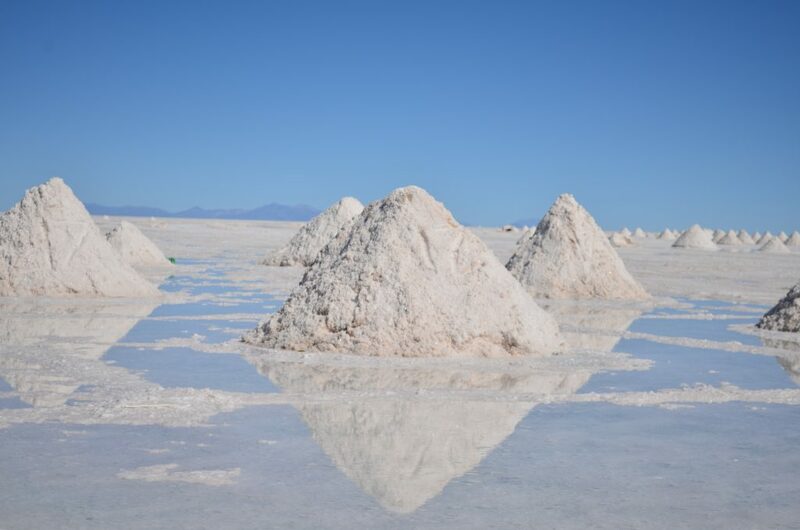 On our 3rd day, we arrived at the Salt Flat and well its got a lot of salt; as far as the eye can see. As I struggled to breath, the miners smoked cigarettes and drank the cheap firewater we brought with us. These guys work so hard, but cherish every minute that they have and all of them understand the sacrifice they make to provide for their families. It was an eye and bronchial opening experience, but I needed to move on. The town of Potosi has a really cool silver museum which documents the movement of silver in the 1500s to Spain. 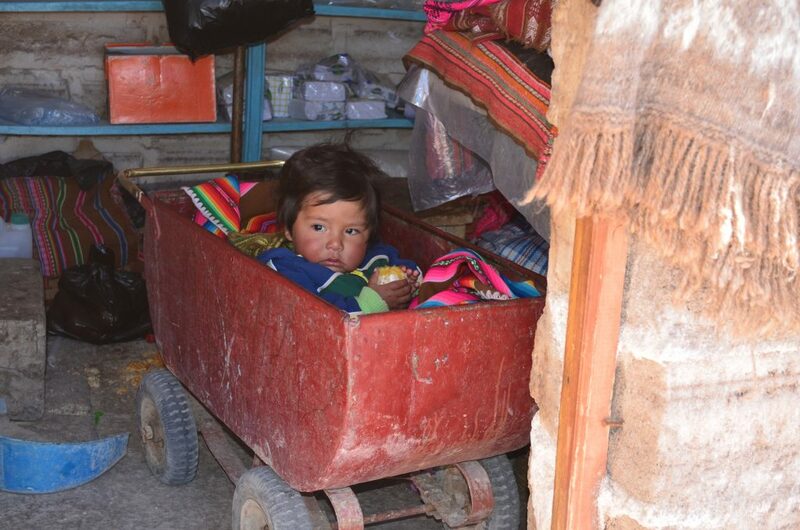 Not much much else beyond this.. so we checked out and headed north to La Paz.